Q where i can buy replacement glass? Q Is the actual hung height from bottom of lights to ceiling 21.75 inches? Are extra lengths for extending height included with light or extra charge? 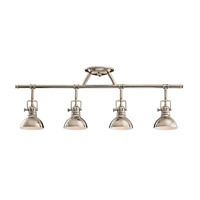 A The Kichler Lighting Structures 4 Light Island Light 2043NI has an overall hieght of 59.5" this includes the downrods.This fixtures comes with (2) 6" and (2) 12" downrods. 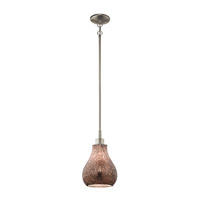 24" downrods are able to be purchased as an extra with this fixture. 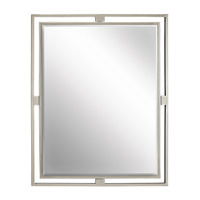 Q Is there a led light that can be used with this fixture instead of halogen? 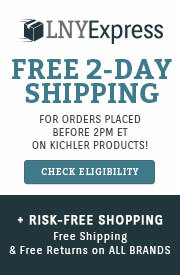 A The Kichler Lighting Structures 4 Light Island Light 2043NI requires 4 100w GY6.35 base Halogen bulbs. LED bulbs cannot be used with this fixture. Q will this mount on a cathedral ceiling slant? A The Kichler Lighting Structures 4 Light Island Light 2043NI can be mounted to a cathedral slanted ceiling up to 45 degrees. Q Your catalog indicates 96" of extra wire. Is this after the included extension rods are added or before? from the top of the fixture the 21.5" how long is the extra wire? 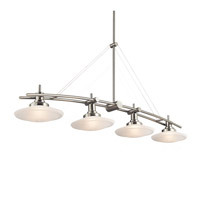 A The Kichler Structures 4 Light Island Light 2043NI comes supplied with (2) 6" and (2) 12" downrods for various height adjustments. You are correct, the 96" of extra wire is the amount of lead wire available after you install all the downrods to the fixtures maximum height of 60". Without downrods, the actual wire length is 156". Q Do the light rotate and swivel? 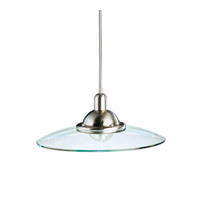 A The Kichler Structures 4 Light Island Light 2043NI ceiling canopy has a swivel so this fixture can be installed on a sloped ceiling. 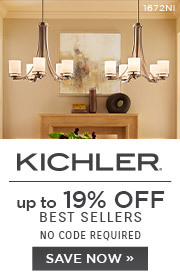 But the individual lights themselves do not rotate or swivel, they only shine downwards. 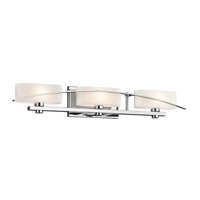 A Yes, the Kichler Structures 4 Light Island Light 2043NI is dimmable using a standard wall dimmer switch.